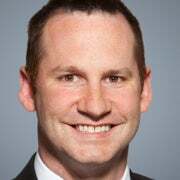 Luke Coffey oversees research on nations stretching from South America to the Middle East as director of the Allison Center for Foreign Policy Studies at The Heritage Foundation. Read his research. As the U.S. grapples with many complex challenges to its interests in the vast region of Eurasia, one country should attract Washington’s particular attention. Kazakhstan, the world’s ninth-largest country by land mass, sits right in the heart of Eurasia on what is best described as a convergence of global challenges and strategic opportunities for the U.S. These key challenges include nuclear proliferation, a resurgent Russia and rising China, Islamic extremism, and competition for energy resources. Partnership with Kazakhstan on these issues is important for the U.S. moving forward. In addition to these challenges, there are many opportunities for the U.S., too—and these opportunities cannot be ignored. Kazakhstan is a major hydrocarbon player and has the potential to help Europe alleviate some of its hydrocarbon dependency on Russia. In addition, major transit routes pass through Kazakhstan along the old Silk Road, connecting East Asia with Western Europe. 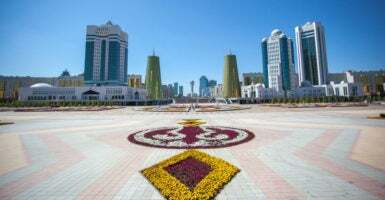 Kazakhstan is a Muslim-majority country but is staunchly secular in its politics, maintaining cordial relations with all countries in the Middle East—from Israel to Saudi Arabia to Iran and everyone in between. This makes Kazakhstan a potentially key intermediary for contentious global issues important to the U.S.
Kazakhstan has begun its two-year term as a nonpermanent member of the U.N. Security Council this year and has been a leading voice on the global stage for the nonproliferation of nuclear weapons, having given up hundreds of nuclear weapons it inherited after the collapse of the Soviet Union. Kazakhstan’s example, in fact, can be useful in the debate over North Korea’s nuclear weapons program. The U.S. investment in Kazakhstan’s energy sphere runs in tens of billions of dollars, and there is potential for more. Additionally, there are also trade and investment opportunities. U.S. exports to Kazakhstan totaled more than $1 billion in 2016. During the early years of its independence from the Soviet Union, between 1991 and 1995, the Kazakh economy contracted by 31 percent. Since 1995, annual growth in Kazakhstan has averaged a respectable 5.16 percent. When The Heritage Foundation’s Index of Economic Freedom started scoring Kazakhstan’s performance in 1998, the country ranked 136th in the world in terms of economic freedom. Today it ranks 42nd, making it the leader in Central Asia and placing it ahead of Western nations such as Belgium, France, and Italy. Kazakhstan has also been in the news this year as a host for what came to be known as the “Astana process”—a series of meetings to help bring an end to the six-year-long civil war in Syria. Kazakhstan’s role here, while technically that of a neutral host, is critical as it can bring to bear its clout as a nation maintaining positive ties with all the parties involved, including with the West. It remains to be seen how successful these talks will be, but Kazakhstan should be given credit for doing what it can to help push a diplomatic solution to the war. Central Asia is a rough neighborhood. Since the announced drawdown of U.S. forces in Afghanistan, American influence in the region has waned. Russia and China are now economic and military players in the region like never before—and not always with benign intentions. A second tier of actors like Iran, Turkey, Saudi Arabia, and India are also becoming more active in the region. Sometimes this is for economic, security, or even social and religious reasons, but their motives are not always clear. This makes the geopolitical chess board even more complex. Kazakhstan is constantly balancing its relationships with regional and global powers. It must do so in order to thrive in a region where power is constantly in flux. But as one senior Kazakh official told me during my visit to Astana last month: Kazakhstan has to balance its relations with the U.S., China, and Russia, but this is made more difficult because it doesn’t know what the new U.S. administration’s policy toward Russia and China is. This is inevitable with any new administration, but it is still a fair point. As the U.S. faces continued challenges in Afghanistan, right now would be a good time to further boost the U.S.-Kazakh relationship and get the U.S. back on the map in Central Asia. Former Secretary of State John Kerry’s C5+1 initiative—a U.S.-led effort creating a multilateral format for the five Central Asian republics and the U.S. to build relations—was a good start, and should indeed continue. But Central Asia is a region best suited for bilateral relations, and the most important U.S. bilateral relationship in Central Asia is undoubtedly with Kazakhstan. A sensible U.S. strategy for Central Asia should be viewed as a chair with four legs, focusing on security, economic cooperation, energy, and good governance. If one leg is longer than the other, the whole chair is unbalanced at best, or unworkable at worst. For too long, the U.S. has focused too much on just one of these four issues, and usually at the expense of the others. This is not a healthy or sustainable way to advance U.S. interest in the region or its relationship with countries like Kazakhstan. The Central Asia region has been, is, and will continue to be an area of great geopolitical importance for the U.S. If the new administration is to have a grand strategy to deal with a resurgent Russia and an emboldened China, promote nonproliferation, confront transnational Islamist terrorism, and improve Europe’s energy security, it cannot ignore Kazakhstan.